Radical Citizen Media is now on Facebook. Like the page to get photos, videos, and to find out when the website has been updated. The complete indexes for all of the above topics are still intact, but can be found at the very top of the above categories except in Organizations, where the list is arranged in alphabetical order. 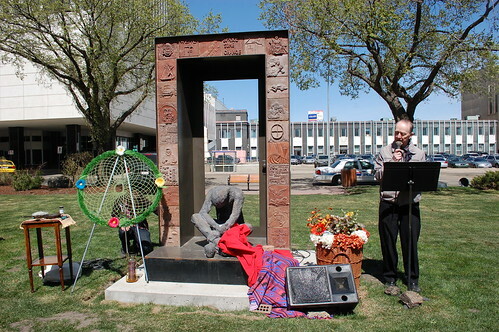 A photo from the 2012 Edmonton Homeless Memorial Celebration appears in the January 2014 edition of Anglican Journal (Vol. 140, No.1). Photographs from Radical Citizen Media’s extensive collection are often published at a variety of websites and periodicals. 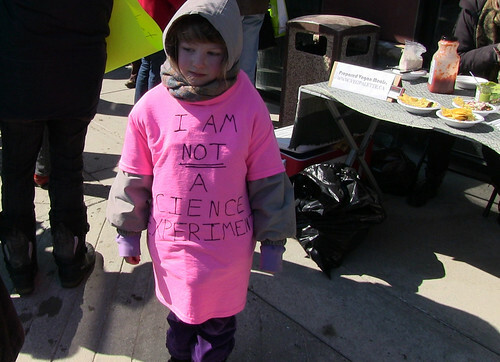 This photo, from the Day of Action to Stop GM Alfalfa, appears in the July/August 2013 issue of Alternatives Journal: Canada’s Environmental Voice. Some of Radical Citizen Media’s photos appearing in the May 2013 issue of Alberta Sweetgrass. 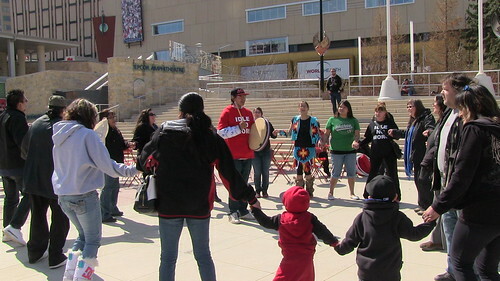 Casey Julian Thunderspirit drums for a round dance as part of a march and rally. 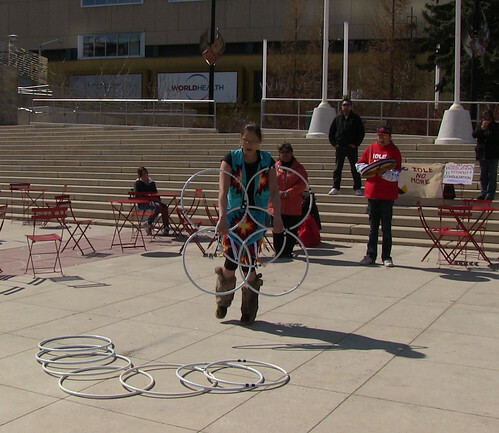 Kelsey Wolver performed a hoop dance in Churchill Square during Earth Day celebrations in May.